After ten years of development hell and constant rewrites, the sequel to the cult classic comedy How High is finally getting underway. Grammy nominated rapper Lil Yachty has been cast in the film in the lead role with production on the sequel kicking off today. How High 2 chronicles two young “potrepreneurs” on a magical hash-fueled journey to fund their on-demand munchies delivery start-up. Lil Yachty plays Roger, an entrepreneur and the younger brother of one of the protagonists from the original film. Universal and Lil Yachty took to YouTube to announce both the start of production and casting news, which can be viewed in the player below! Released in 2001, How High followed a weed dealer/grower Silas (Method Man) and slacker Jamal (Redman) as they travel to Harvard after smoking a special marijuana strain made from the ashes of Silas’ deceased friend, which gives them the ability to talk to his ghost and get the answers to every test. Though it was mostly negatively received by critics, it was a modest box office hit and gained a large cult following, landing on many lists for the best stoner films of all time. The sequel originally began development back in 2008 when original star Redman (Scared Famous) announced a script was being written, but the project circled in hell due to Universal Pictures holding onto the rights to the title and characters. Other former star Method Man (The Deuce) came out in 2013 saying chances were slim a sequel would get made, but that the first film’s writer Dustin Lee Abrahams was working on a script. Last year saw the most progress in development with a script being complete, however, Method Man followed that announcement in November by saying it needed to be rewritten due to his dislike of it and that if he and Redman didn’t find the new draft funny, they would not return for How High 2. Universal announced that the sequel is in production with MTV co-producing the film, but that it would not be receiving a theatrical release and instead would debut on the cable network sometime in 2019. Whether Redman and Method Man are returning for the film is still unknown. How High 2 is written by Alex Blagg (Workaholics), Neel Shah (Powerless), Shawn Ries (Family Guy) and Artie Johann (Big Mouth) and directed by Bruce Leddy (Last Week Tonight with John Oliver). Kevin “Coach K” Lee, Pierre “Pee” Thomas and Lil Yachty from Quality Control serve as Executive Producer, along with Brian Sher, with Shauna Garr returning as a producer alongside Mike Elliott (Halloween II). Josh Vodnoy, Morgana Rosenberg and Jason Goldberg serve as Executive Producers for MTV. 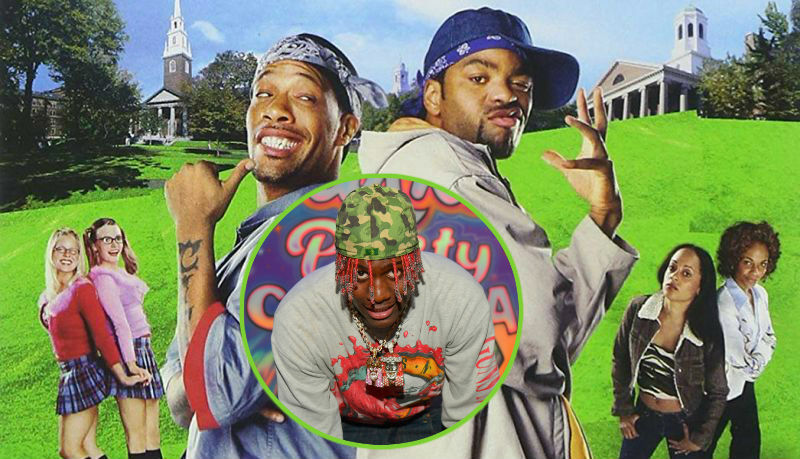 The post Rapper Lil Yachty Set to Star in How High 2 appeared first on ComingSoon.net.